If you think owning a stable of racehorses could max anyone’s credit card, try keeping two NASCAR racers primed for battle and fueled up at the starting line. Never before has money played such a big part in the auto racing game. In fact, to most people, money is the game. Long gone are the days when the winning owner simply paid the driver and crew a stipend and used the balance as best he could to prepare his car for the next weekend race. Today the expenses involved for keeping just two mid-level cars on the track is staggering. Although some big-time owners may have only two cars on the track, they usually have an average of 13 or 14 cars under construction. It makes sense, therefore, with that many cars in the garage, the owner (or owners), should have a team of skilled mechanics on the payroll to keep them ready for race day. Not only are the mechanics on the payroll but also teams that handle the purchasing, stocking, and inventory of hundreds of parts required for the cars. To take care of billing, payroll, and the myriad of other details, an administrative team is included as well as is a logistic team that arranges the racing schedules and travel for the cars, trucks, mechanics, drivers, and pit crews. Then there are the public relations people, the legal staff, the secretaries, and many others to help support the effort for putting the cars on the track. In fact, an entire mid-level racing team consists of almost 100 people. While the costs vary from team to team they are all close approximations for just one “typical” 2-car Nextel Cup team. If you think these figures are high, the costs for the larger, more popular teams can be double or even more. With these astronomical expenditures NASCAR owners had to find someway to pay the bills– in other words, for someone to subsidize their teams. Unlike the old days, the prize money for winning a race is not nearly enough. What used to cost tens of thousands of dollars a year has now skyrocketed to at least $15 million/year. $500,000 to $2 million for an Associate sponsor – A logo on either the lower rear quarter panels, the rear deck lid, or one post. $2 to $5 million for a Major sponsor – A logo prominently displayed on either the rear quarter panels or the rear deck lid, and the uniforms. 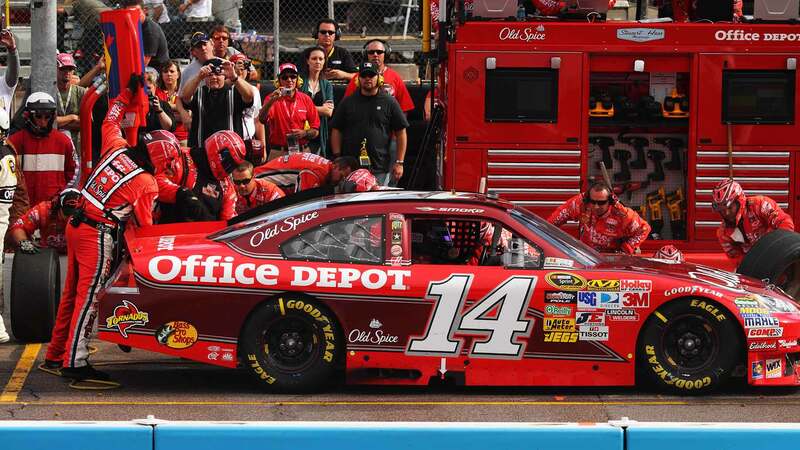 $10 to $20 million for a Primary sponsor – Logos on the entire hood and quarter panels, the signage below the quarter panels, most of the two posts, the equipment, the uniforms, as well as the color scheme of the car and team uniforms. The top racing teams are able to attract deep-pocket sponsors and with escalating costs many teams have found it necessary to contract with two or more sponsors at the same time.